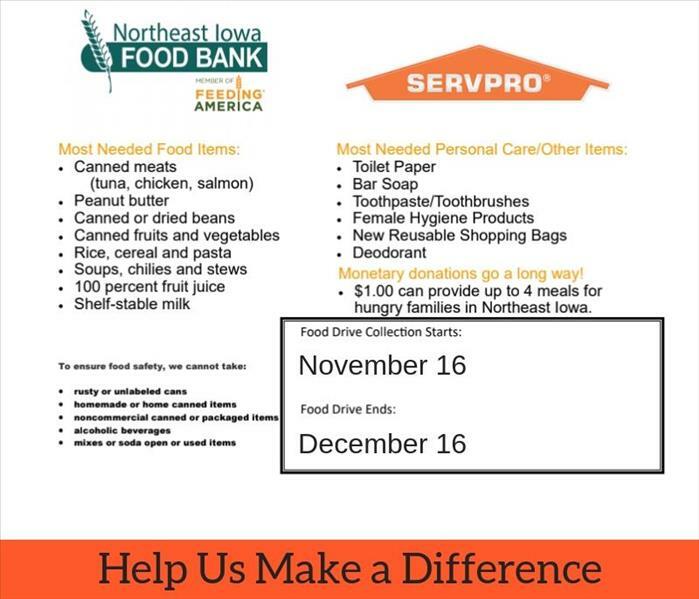 This year for the holiday season, SERVPRO of Black Hawk County is giving back to the community by hosting a food drive for the Northeast Iowa Food Bank. We ask that participants drop off non-perishable food or personal care items to our office location. If you are unable to drop off your donation, please contact us, and we'd be happy to pick it up. All donations are appreciated. Thank you for your contribution. 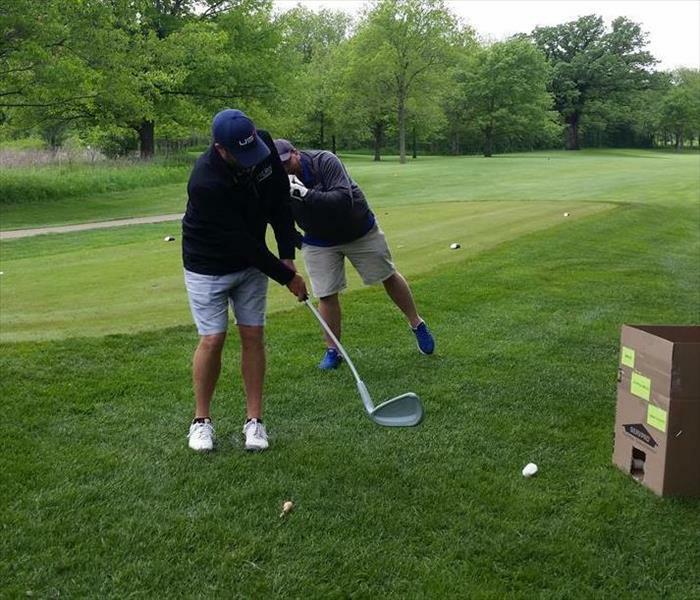 Cedar Falls and Waterloo Firefighters, along with police officers, insurance agents, contractors, friends and even Waterloo Mayor Hart enjoyed a day of golf at Gates Park Golf course in Waterloo. 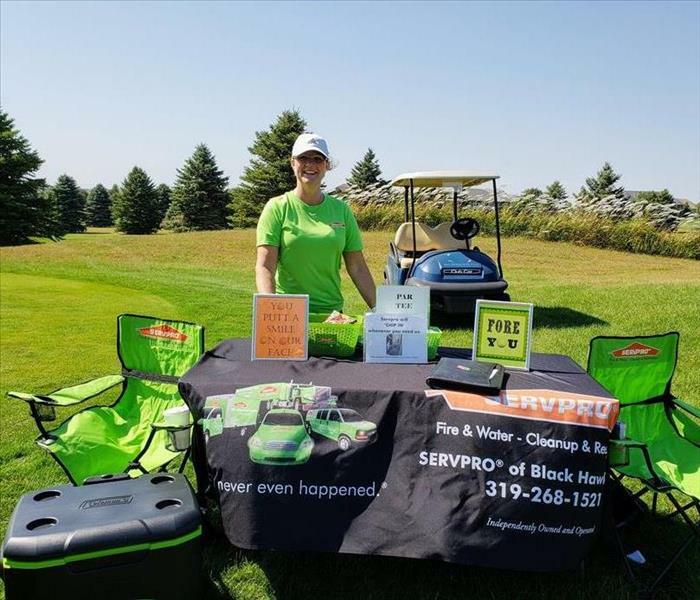 SERVPRO of Black Hawk County sponsored another year of the Waterloo Fire Local 66 Charity Golf event that proceeds benefit the Veteran’s Transitional home. It’s the lest we could do for the men and women that take care of us!! Using our equipment as a learn and laugh tool, we had realtors putt or chip the ball into our very own air movers. 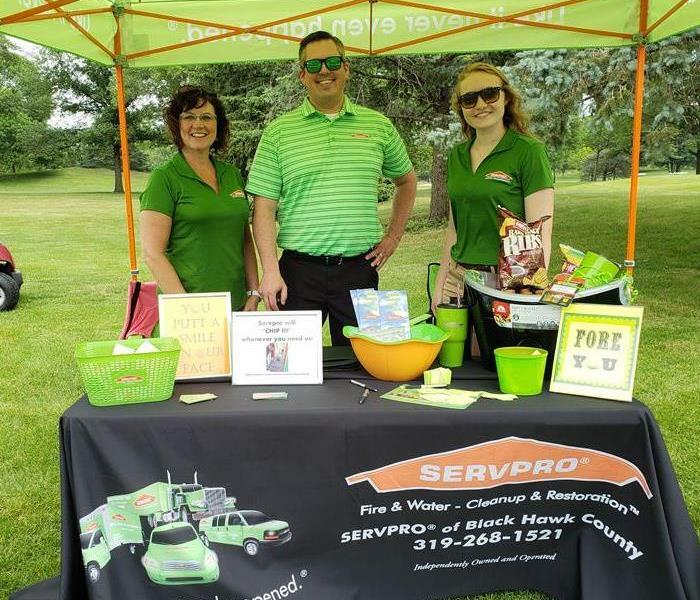 SERVPRO of Black Hawk County sponsored a hole at the Northeast Iowa Regional Board of Realtor's annual golf outing at Sunnyside Country Club in Waterloo, Iowa, on June 12, 2018. We love spending time with our friends. SERVPRO of Black Hawk County franchise owner Scott Demuth presented a one hour CE class to the realtors of Northeast Iowa at their monthly luncheon. The class highlighted SERVPRO'S water and fire clean-up and restoration services along with mold remediation and carpet cleaning information. Using a large marshmallow as a golf ball, golfers tried their luck with a monster club at hitting a hole in one! 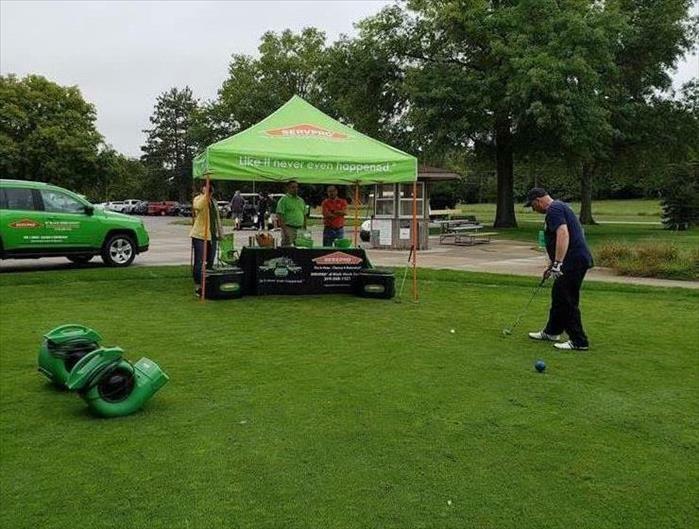 SERVPRO of Black Hawk County sponsored a hole at the Northeast Iowa Realtor's annual golf outing at Beaver Hills Country Club in Cedar Falls, Iowa, on May23, 2017. We are thankful for the opportunity to have fun celebrating friendships! Great turnout from Insurance Agents to SERVPRO of Black Hawk County Continuing Education Classes! SERVPRO OF Black Hawk County had over 65 insurance agents attend the continuing education classes they organized on April 20 held at Hawkeye Community College in Waterloo, Iowa presented by Todd Davis. Errors and omissions along with fire insurance and claims were the topics. Check out SERVPRO of Black HAwk County's other CE classes in September and October 2017! 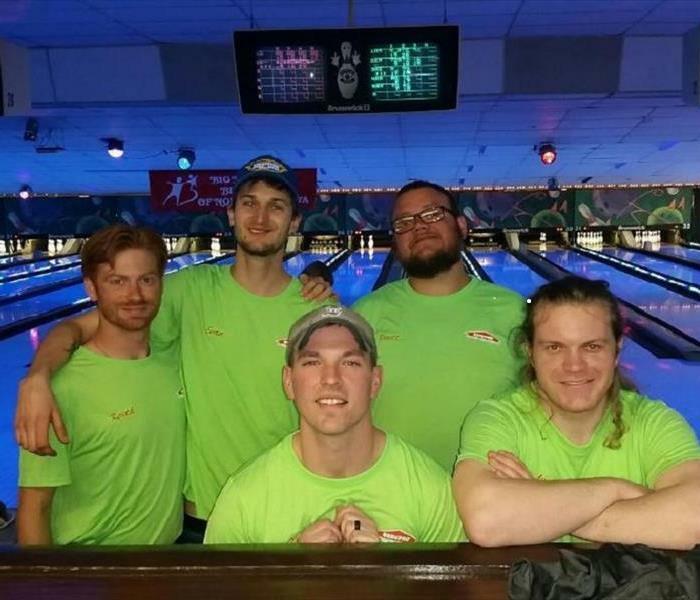 SERVPRO of Black Hawk County- 2nd year supporting Big Brothers & Big Sisters of Northeast Iowa Bowl for Kids Sake event! Team "Like it never even happened" enjoyed spending the evening with other community members bowling and raising necessary dollars for BBBSNEIA organization's mission. 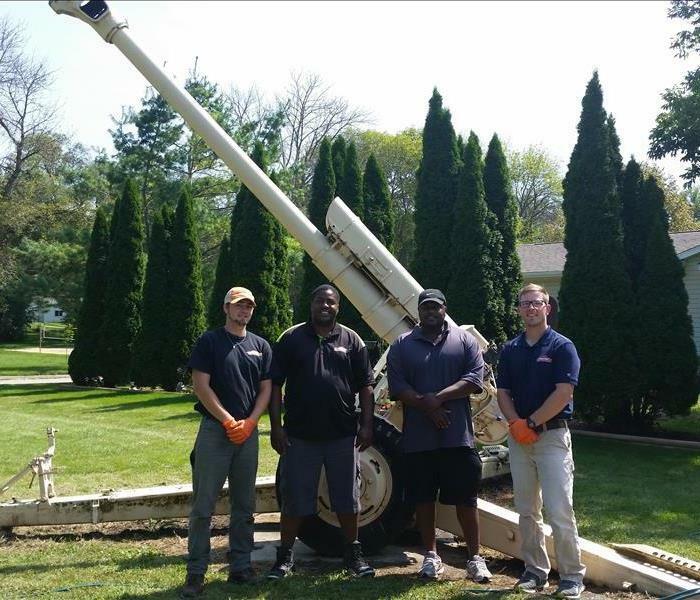 SERVPRO of Black Hawk County is privileged to have cleaned the Persian Gulf Howitzer that was captured by the Marine Reserve Unit and now stationed at the Evansdale Amvets center. We enjoyed meeting these awesome Veterans last Saturday during the reunion. Thank you for the opportunity! 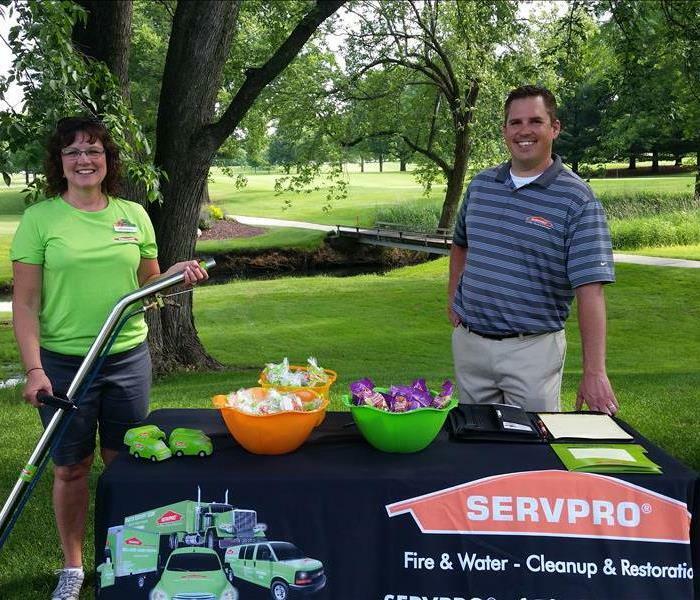 SERVPRO of Black Hawk County sponsoring hole 5 at the annual NE Iowa Regional Board of Realtors Golf outing at Beaver Hills in Cedar Falls, Iowa on June 14, 2016. Franchise owner Scott Demuth and marketing representative Debbie Robeson await the golfers. 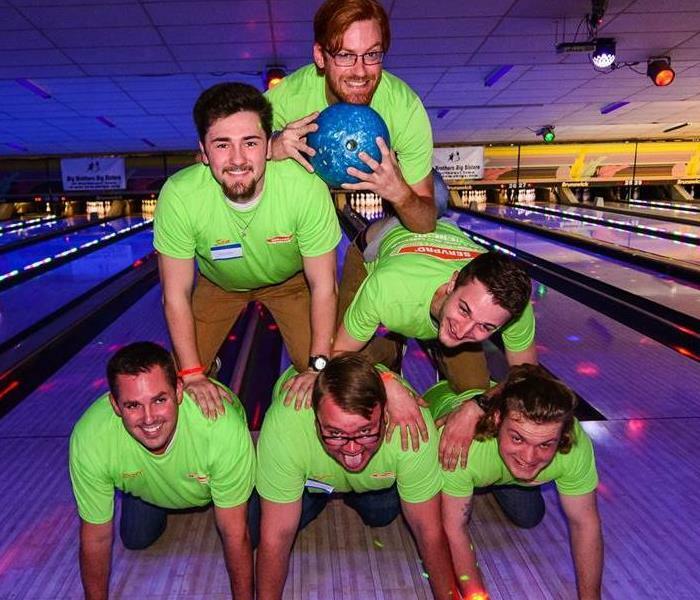 SERVPRO of Black Hawk County sponsored and participated in the Big Brothers Big Sisters of Northeast Iowa Bowl for Kids' Sake fundraising event on April 13, 2016. 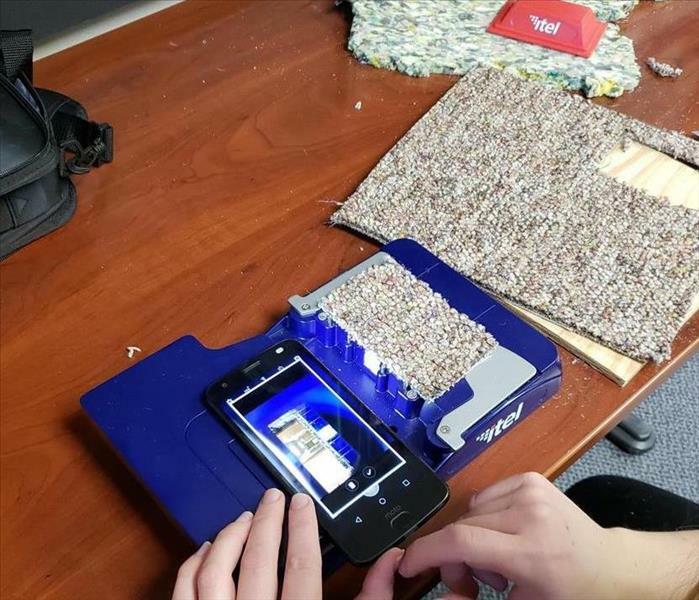 Team "Like it never even happened" pictured. 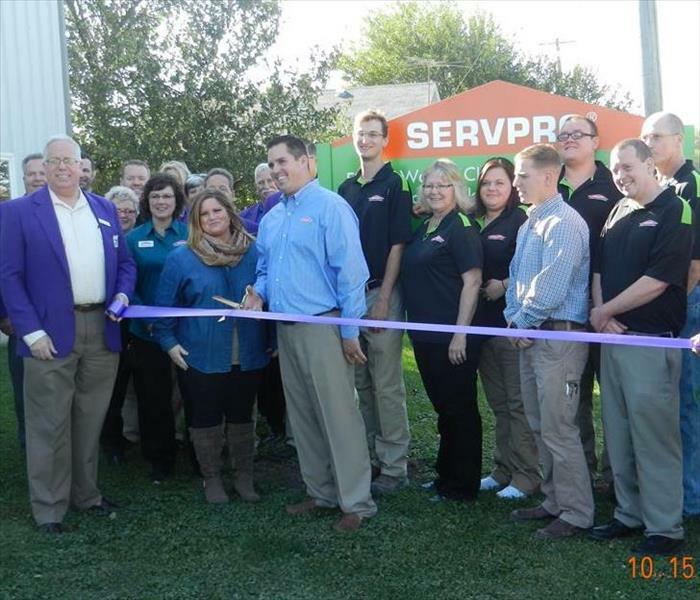 On October 15, 2015, Cedar Valley Chamber of Cedar Falls and Waterloo Iowa held the official ribbon cutting at SERVPRO Black Hawk County and surrounding counties NEW office and warehouse for fire and water restoration and carpet cleaning. Scott & Libby Demuth, local franchise owners. Meet the team members of SERVPRO Black Hawk County at the open house event on October 15, 2015 for the public. Scott and Libby Demuth, owners. 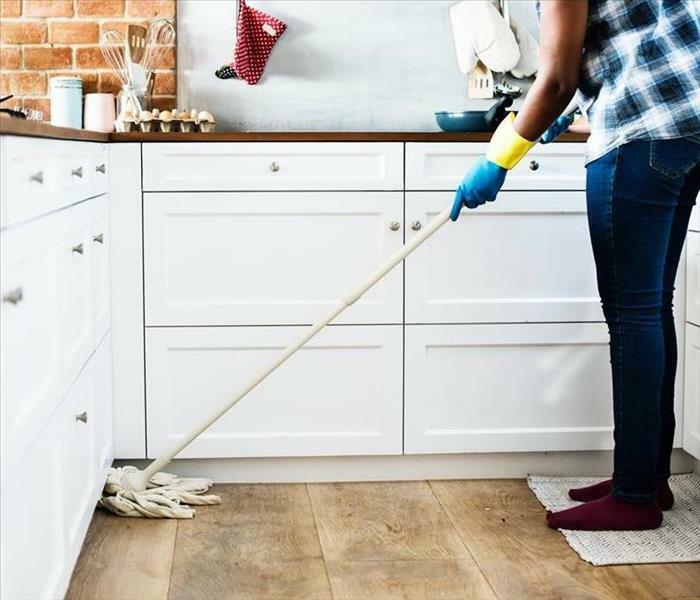 Lisa Lippert, Kully Olson, Brett Armfield, Evan Meyer, Chris Laake, Autumn Kelly, Jeff Minchk, and Debbie Robeson, ready to help you restore after water or fire damage! 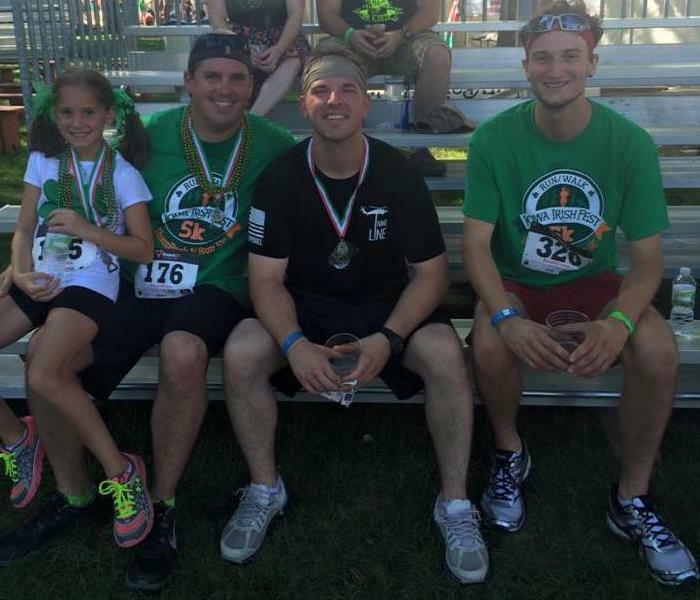 SERVPRO Black Hawk County was a sponsor of the Iowa Irish Fest 5k race on August 1, 2015 in Waterloo. Franchise owner Scott Demuth and daughter Lainey, along with SERVPRO estimator Kully Olson and production crew chief Evan Meyer ran in the race. 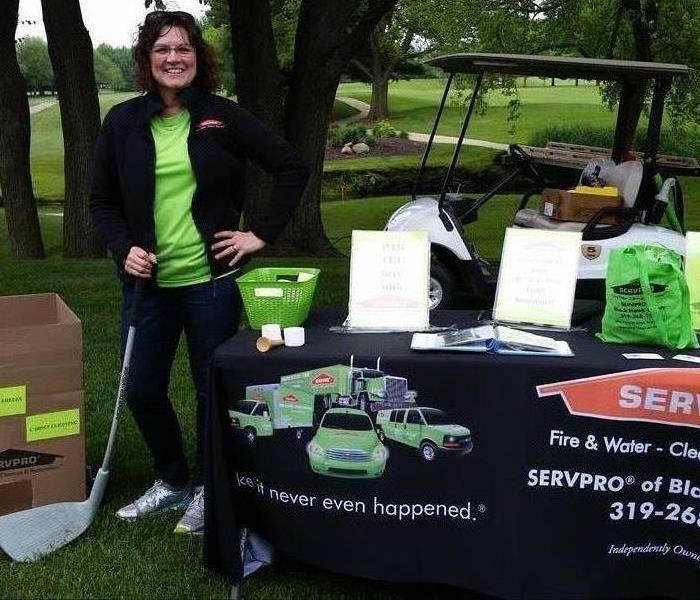 SERVPRO loves supporting the Cedar Valley!